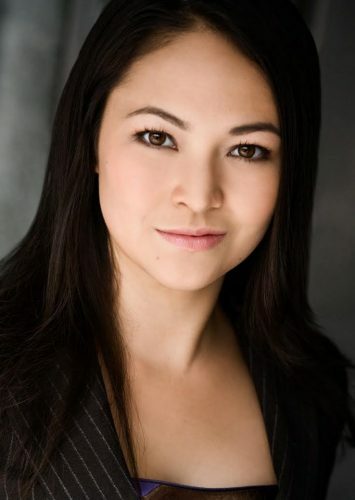 Debi Wong is a Canadian mezzo-soprano, actor and stage-director. She has been praised for possessing a “rich-toned” voice (The Vancouver Sun) and delivering performances that are “mind-blowing” (Schmopera blog) and “unique and magical” (Rondo Classic). Debi is a graduate of Yale University (M.Mus) and The Yale Institute of Sacred Music (Diploma in Sacred Music), where she studied vocal performance and was the recipient of the 2010 Margot Fassler award for outstanding performances in sacred music. She is currently a doctoral candidate at The Sibelius Academy in Helsinki where she is studying interdisciplinary performance and collaborative aspects of music. Her passion lies in creating performances that combine storytelling with music and theatre. As a soloist, Debi has performed with leading orchestras and ensembles across Europe and North America. She also performs regularly with her award-winning lute and voice ensemble, White Sparrow and her lute, voice and guitar trio, The Winter Of Our Discontent. In the 2017 – 2018 season, Debi will produce and perform in Acis & Galatea with her independent opera company, re:Naissance. She will also release her first full-length album titled Mister Dowland’s Midnight on Naxos records and she will give performances with her ensembles in Canada, USA, Norway, France, and Finland.